Fig. 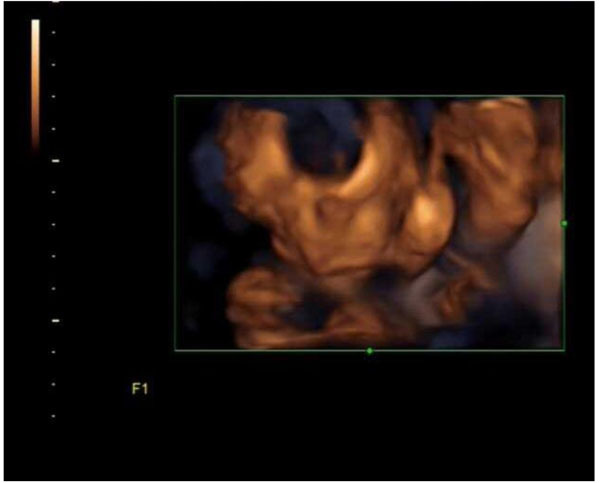 (3I) 4D Ultrasound Imaging of Fetal Face at the beginning of the test for a Group B Patient. Picture is unclear because face being blocked by artifacts and limbs.